This lone caterpillar was about as thick as an adult finger! 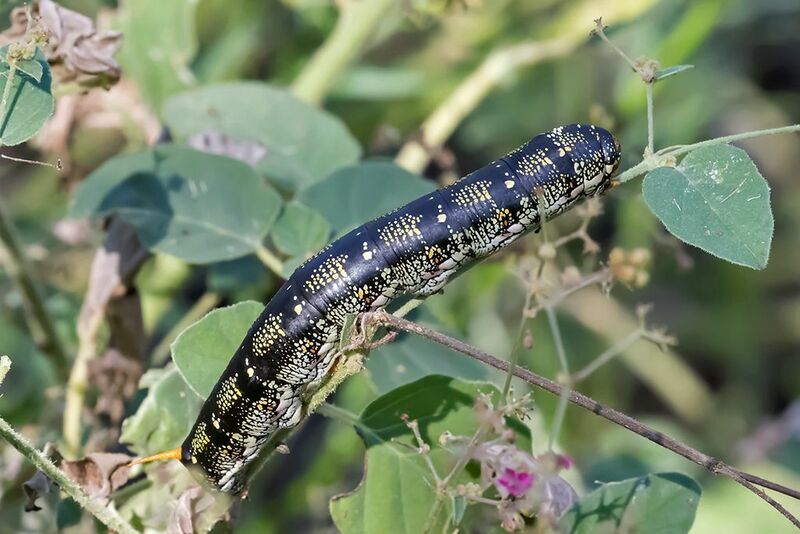 We generally see the bright yellow-green version of White-lined Sphinx Moth larvae, so the identity of this one stumped us initially. As always, though, our favorite bug lady has a blog post on this very topic. And this link shows more photos of variously colored caterpillars.